The Piscifun brand is one that is well-trusted and widely used for anglers all over. It is a dependable brand that normally has affordable fly fishing equipment that will last for years. The Piscifun Aoka Aluminum fly fishing reel is no different with its mid-arbor design, Teflon disc drag system all within a machined frame. Having a few different reels for options during your fishing trips allows for changing to best handle different types of catches. The Piscifun Aoka reel is one that can be added to your collection or stand out as your main reel due to its appealing aesthetics and affordable price. Being able to find this reel for under $50 is a huge selling point especially to those novice anglers. The high-quality bar stock aluminum used in the construction makes it durable to last throughout several seasons. These four features are key to providing a reliable reel when fly fishing. Being able to use lighter tippets because you have a stronger drag system will allow you to go after more types of fish. There needs to be a strong braking system for those fast running fish. Being able to confidently fight those larger, fast running fish with a reliable drag system and larger arbor design is critical. 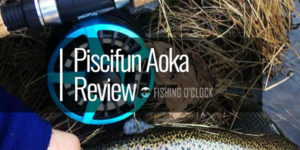 The novice angler will appreciate the price on this Piscifun Aoka reel of not breaking the bank but still providing quality to the fly fishing experience. When searching for the right size reel, it is ideal to match the size of your rod. The Piscifun Aoka Aluminum Fly Fishing reel comes in two sizes: 5/6 and 7/8 spool sizes. The diecast spool is lightweight and seems to be extremely sturdy. It is also able to hold about 100 yards of 4 weight line with additional backing. The quality bar stock aluminum on this reel does make it look similar to the more expensive brands as well. The drag system on the Piscifun Aoka is very consistent with being able to handle larger fish. The one-way clutch bearing gives such a smooth drag. The immediate drag engagement means you can pull in those larger catches without giving way to losing too much line. The tight tolerances and ergonomic drag set are also easy to use for the novice fly fishing angler. The Piscifun Aoka is moderately priced like a click and pawl drag reel. The downside of the click and pawl would be that it is less adjustable and does not have the best stopping power. However, the Piscifun Aoka Aluminum Fly Fishing Reel has a cork/Teflon disc drag system. This gives the reel an extremely smooth and most efficient braking system. If you are aiming for the big fish, this drag system will smoothly stop that running fish even on a light tippet. With this strong drag system, catching those bigger fish and trout will not pull off the line off your reel. A common feature in many fly fishing reels would be the mid-arbor design. 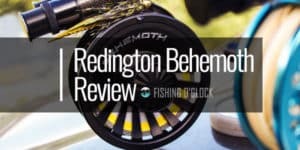 With the reel not being too high priced, it may be surprising that it still offers a powerful retrieve with reduced line memory and a quick line pick up. This CNC machined aluminum alloy Piscifun Aoka has a fully machined frame and an oversized handle, which makes for easy handling for the beginner anglers. With the mid-arbor design, you can confidently fish in warm water or salt water. The larger arbor design gives a rapid retrieve for those fast running fish won’t get away and allows for a smoother run. 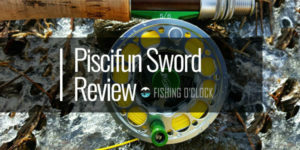 Getting a strong, reliable reel that can pull in catch such as bluegill and several types of trout at such an affordable price is one of the reasons Piscifun is such a trusted brand. 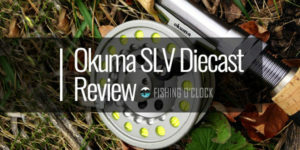 For the most part, the Piscifun Aoka Aluminum Fly Fishing reel is dependable and able to handle larger catches with its strong drag system. There are a few quirks about the reel that may pose an issue. One would be the semi-closed drag on the reel. This makes it slightly harder to maintain the quality of the reel. To combat this, you would have to disassemble the drag after each use to dry out the water. If you take this extra step, it will prevent quick corroding of the reel. Another thing to note about this Piscifun Aoka is that the screws may need to be checked prior to use. While this may be an issue with manufacturing and may not occur with every reel, it is best to check the screws prior to going out on your fishing trip to ensure they are properly tightened. It will prevent any mishap or your big catch escaping or any damage to the rod by checking all screws first. Finding a reel that will hold your backing and fly line is critical to both novice and experienced anglers alike. The right reel will balance your fly rod to land that big catch for you. 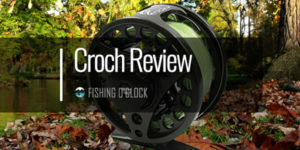 A reel should perform smoothly with a reliable drag system and provide adequate backing. 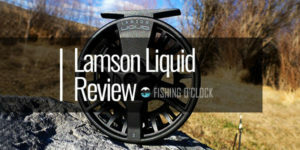 With so many fly reel options available, the Piscifun brand has made it their mission to be one of the top fly fishing reels that many anglers rely upon. The construction on this Piscifun Aoka Aluminum Fly Fishing reel is CNC machined strong and lightweight. With its easy switch from left-hand retrieval to right-hand retrieval one-way bearing, this reel is extremely reliable and rather easy to maintain for years of use. The Piscifun Aoka Aluminum Fly Fishing reel is smartly priced under $50. Similar to the higher priced reels, you are still able to go after both medium to large size fish. The excellent drag system gives you a dependable braking system to catch a wide range of trout from sea trout to 5 lb. rainbow trout to redfish. The Aoka provides easy use for the novice but also comes with power for the more experienced angler to use on larger catches that may run causing you to rely on your Teflon drag system.